Born and brought up in Hampstead, in a family of tailors and glovers, Robert Tavener showed his artistic talent at a young age, mostly through use of chalk on pavements. 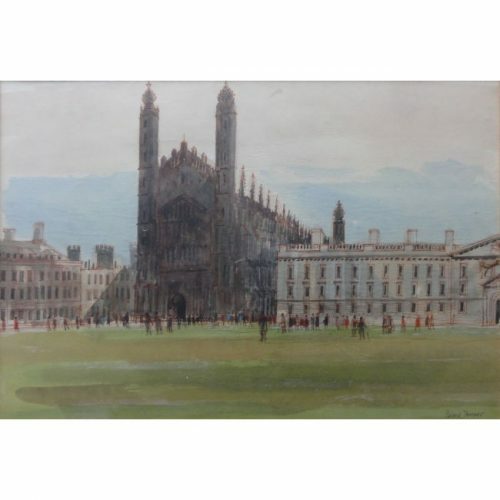 After leaving school he took a desk job to please his parents rather than following his artistic bent, but was soon called up to serve in the Royal Artillery – 1940. His war service taking him to the beaches of Normandy on D-Day plus three, it then allowed him to study for eight months after the war ended at Gottingen University in the arts and crafts faculty. 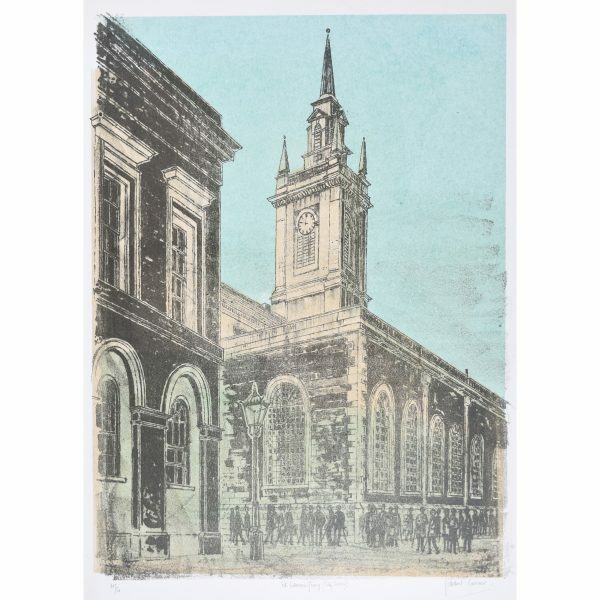 Studying at Hornsea College of Art specialising in lithography he additionally obtained a teaching diploma. 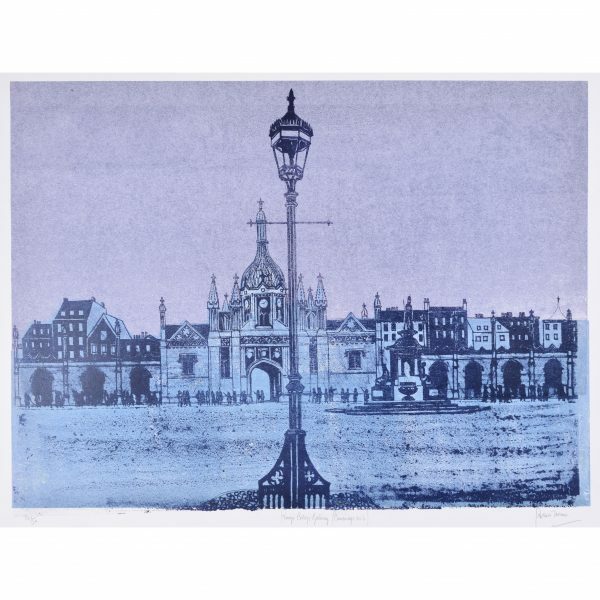 Posts at Medway College of Art in Rochester and St Martin’s School of Art in London were followed by Eastbourne College of Art and Design where he became Head of Printmaking. 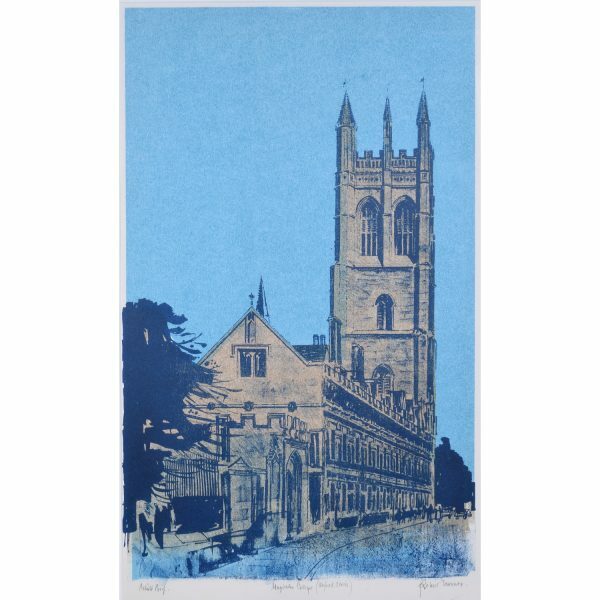 Tavener’s own prints were produced on his 1882 Albion Press in his studio at home, and largely focused on the English countryside and architecture. “My subject matter is a personal interpretation of the richness, variety, beauty, and the underlying relationship with the past, of our landscape and building. 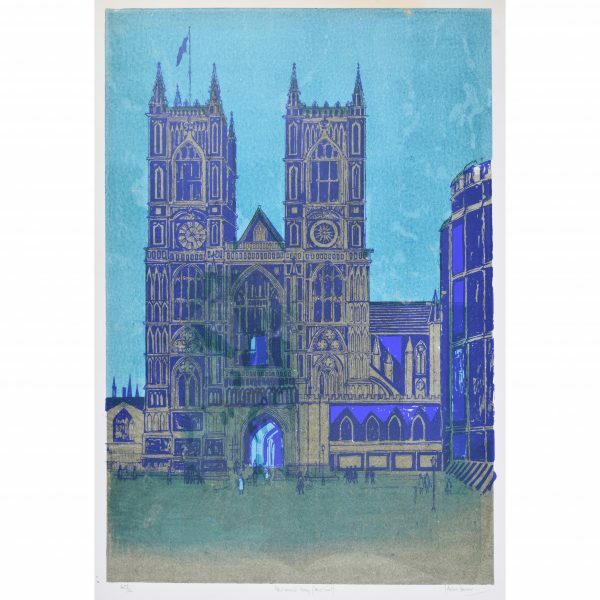 His architectural output focused on pictures of Oxford and Cambridge, as well as the great cathedrals and Wren’s city churches. Much of his work went to public institutions, both in the UK and USA.